Following the ASEAN-QA Workshop in Bangkok, the 40 participants coming from universities and national accreditation bodies of 10 SEA countries, met again for the second training phase at the University of Potsdam from 19th–23rd March 2012. After the introduction and inputs on external and internal quality assurance of the first workshop, the focus of the second workshop shifted to practical aspects and exchange on drafting, managing and analyzing self assessment reports (SAR). The SARs are being prepared since October 2011 by the 23 participating universities representing the Internal Quality Assurance Track (IQA) of the course. The first drafts of the documents have been submitted on the e-learning platform prior to the workshop in order to be shared with both the international trainers and the subgroup of participants delegated by the national accreditation bodies of the External Quality Assurance (EQA) Track of the course. They were the basis to discuss the criteria for writing and analyzing a SAR as well as all aspects of managing the processes of external study program evaluation, both from an internal and external view. The specialty of the workshop was not only bringing the Southeast Asian and European approaches and views together but also having a first exchange between the participants of the EQA and IQA group. The characteristic of two parallel trainee groups and going through the steps of an external accreditation process makes the course unique and challenging. The week in Potsdam and Berlin did also give participants the opportunity to get to know the German landscape of quality assurance in higher education. 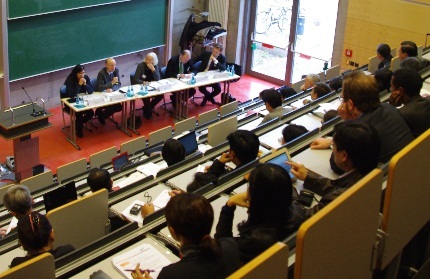 During a visit to Technische Universität Berlin the respective quality assurance and development strategies were introduced. The presentation of the Quality Audit Project, a quality assurance network under lead management of the University of Potsdam, gave insights and encouragement to build networks of higher education institutions in the field of QA. Furthermore a panel discussion about the role of stakeholders with representatives of the industry, employers, students and politics clearly illustrated the requirements and demands of the various stakeholders towards universities and how they are involved in quality assurance processes in higher education. A visit at the German Reichstag (Parliament) and tours of the Berlin Wall as well of the Sanssouci Castle in Potsdam rounded up the Workshop with cultural events. The next steps of the training course will be conducted on the e-learning platform and in October 2012 a workshop for the IQA-Track will be carried out in Ho Chi Minh City (Vietnam), hosted by Vietnam National University HCMC. 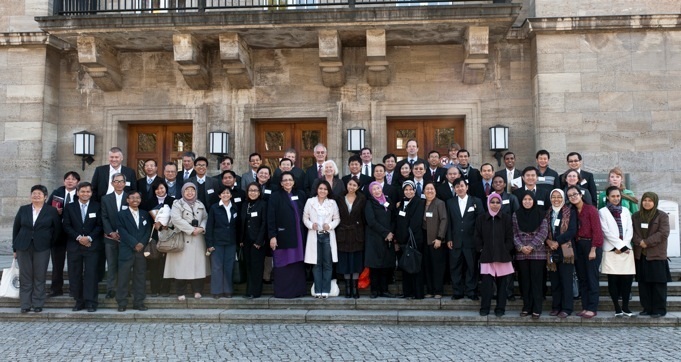 The EQA part of the course will meet again in February 2013 in Kuala Lumpur at the workshop hosted by the Malaysian Qualifications Agency. For more detailed information about the workshop and its contents please follow this link.